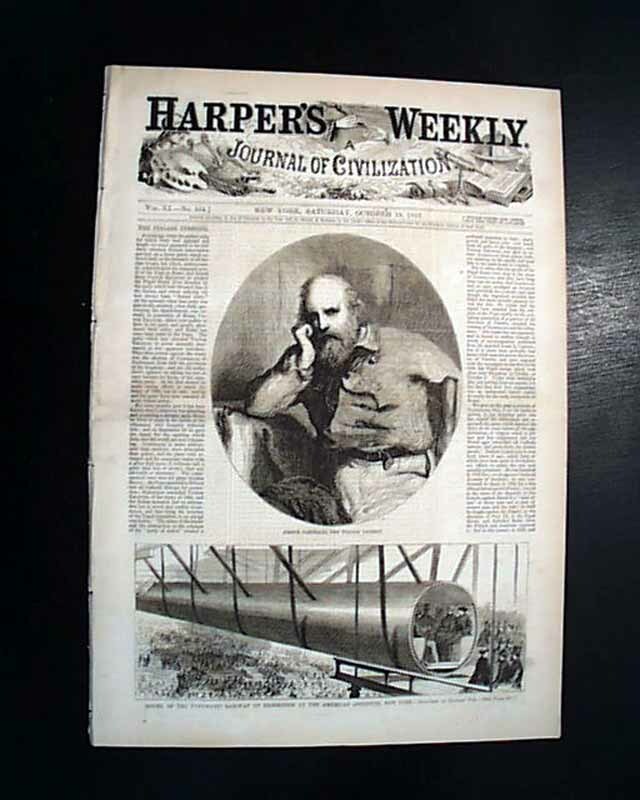 HARPER'S WEEKLY Oct. 19, 1867 Front 1/3 illus. of "Joseph Garibaldi, the Italian Patriot." 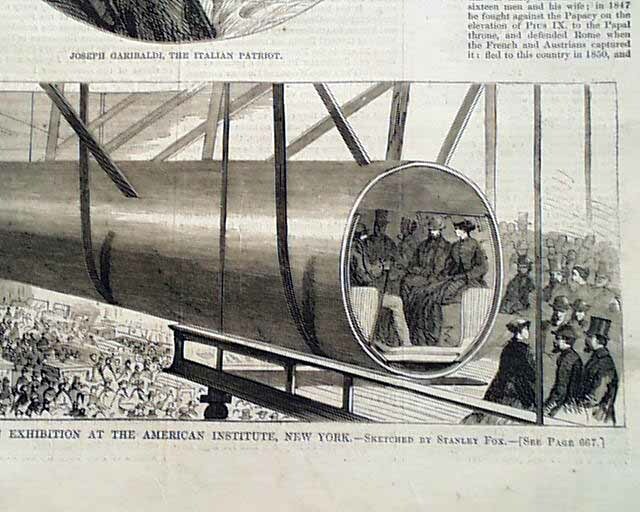 Also, there is a one-third page illustration of a: "Model of the Pneumatic Railway on Exhibition at the American Institute, New York." 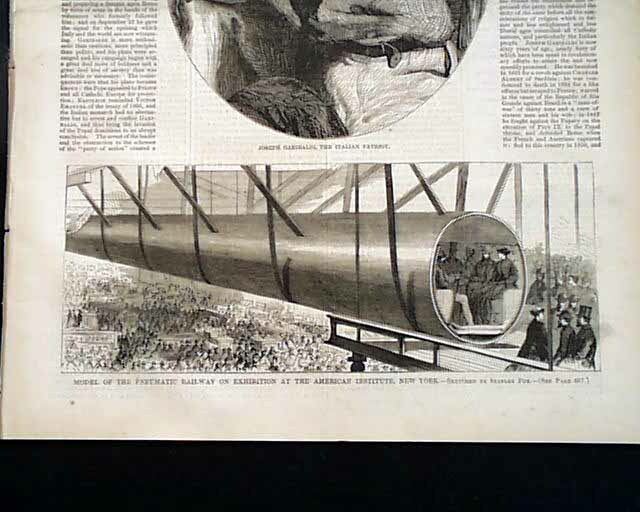 This is a much earlier version of what Elon Musk invisions with his "Hyperloop" concept, a revolutionary transportation system for the future (see hyperlinks). Inside is a 1/4 pg. illus. of "The Late Charles King, LL.D." 1/4 pg. illus. 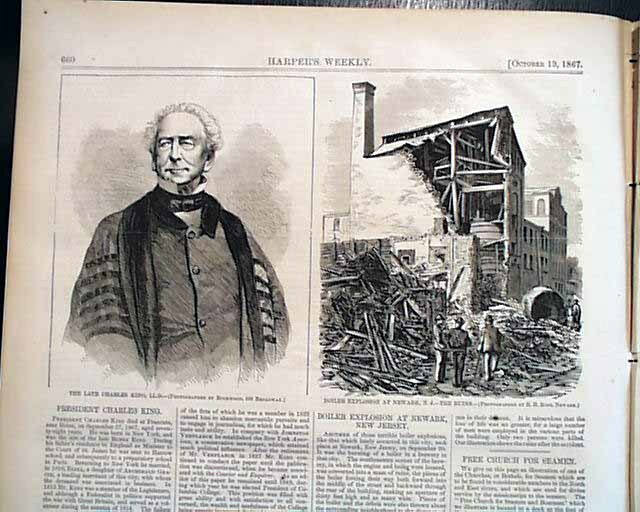 of "Boiler Explosion at Newark, N.J.-The Ruins." 1/2 pg. illus. 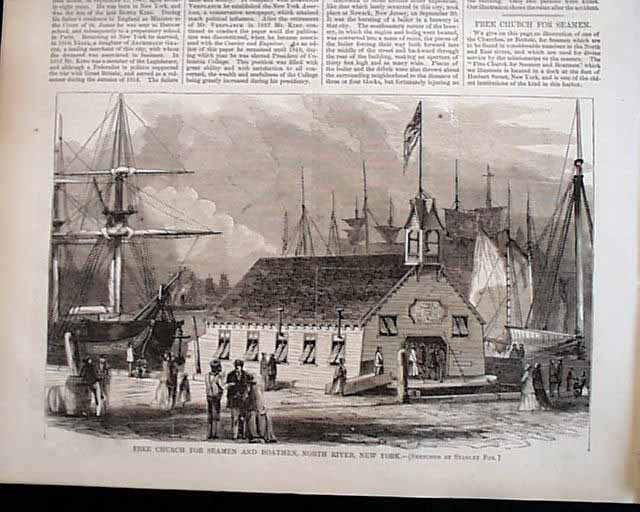 of "Free Church for Seamen and Boatmen, North River, New York." 1/2 pg. illus. 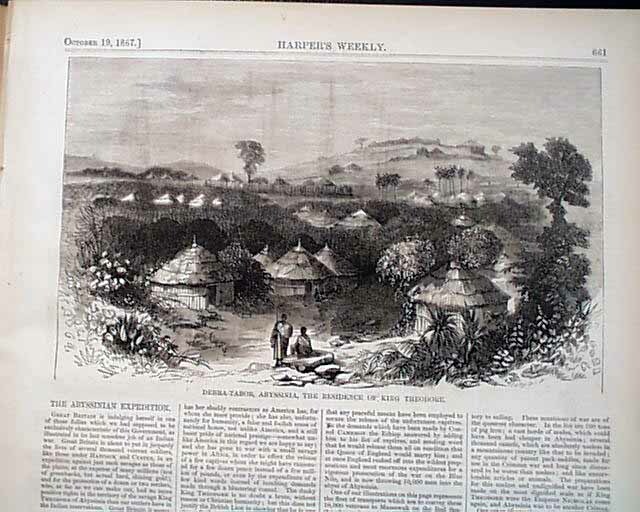 of "Debra Tabor, Abyssinia, the Residence of King Theodore." 1/2 pg. illus. 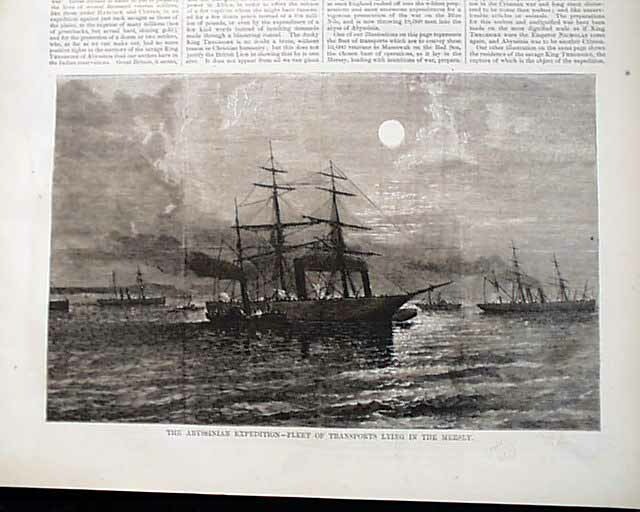 of "The Abyssinian Expedition-Fleet of Transports Lying in the Mersey." 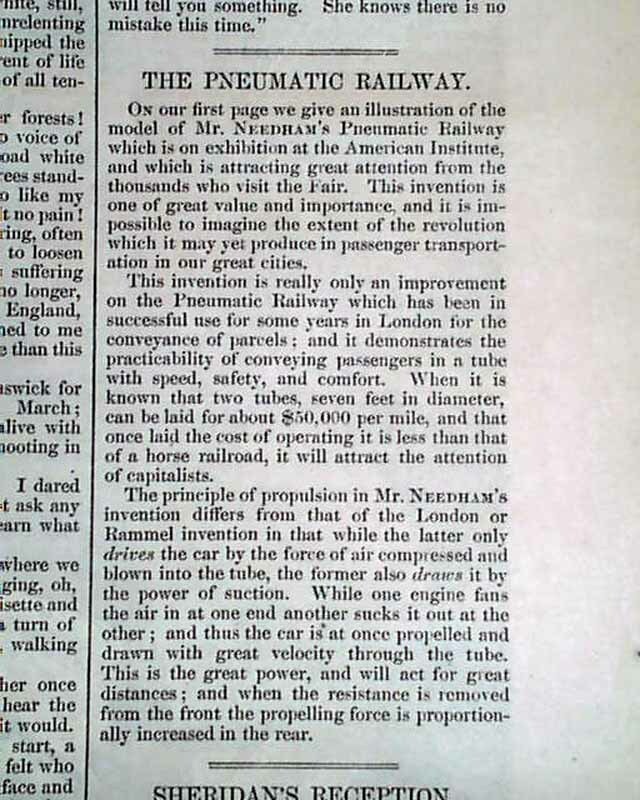 There is also a full pg. illus. 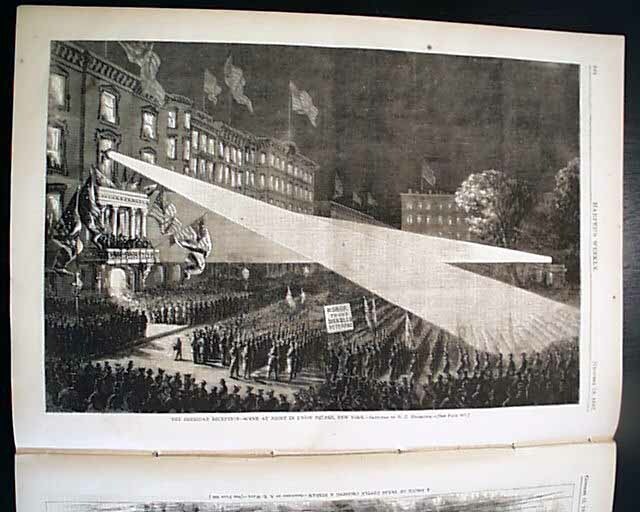 of "The Sheridan Reception-Scene at Night in Union Square, New York." Full pg. illus. 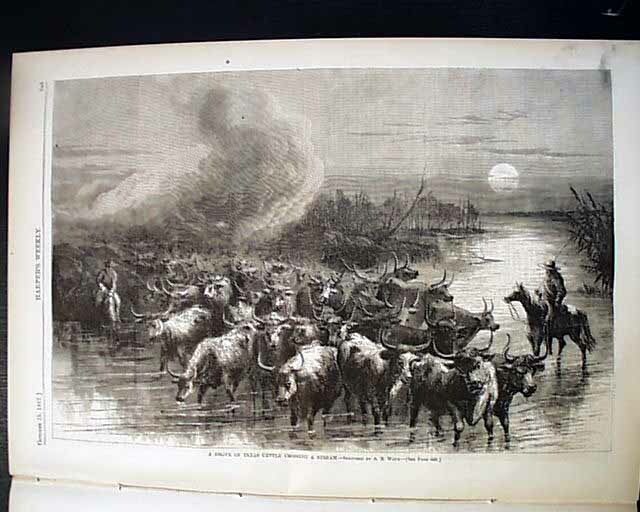 of "A Drove of Texas Cattle Crossing a Stream." Full pg. illus. 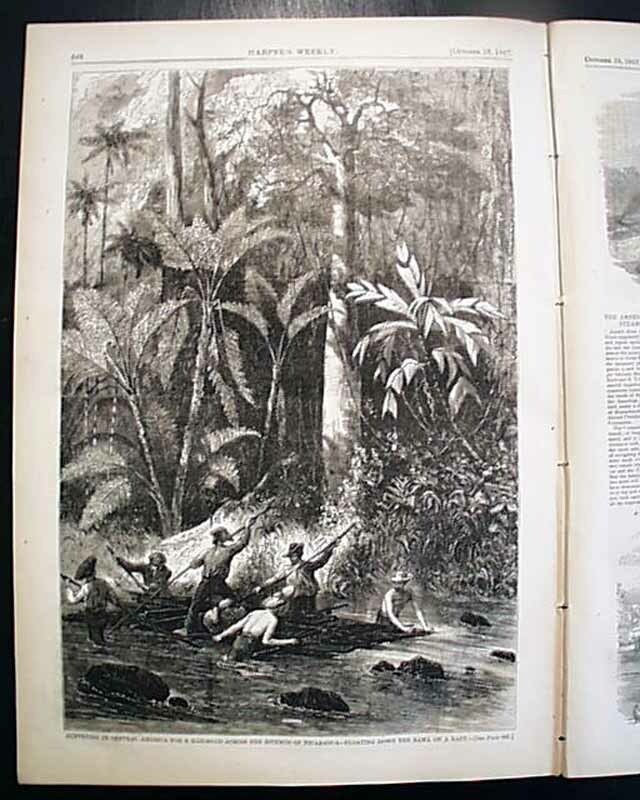 of "Surveying in Central America for a Railroad Across the Isthmus of Nicaragua-Floating Down the Rama on a Raft." 1/3 pg. illus. 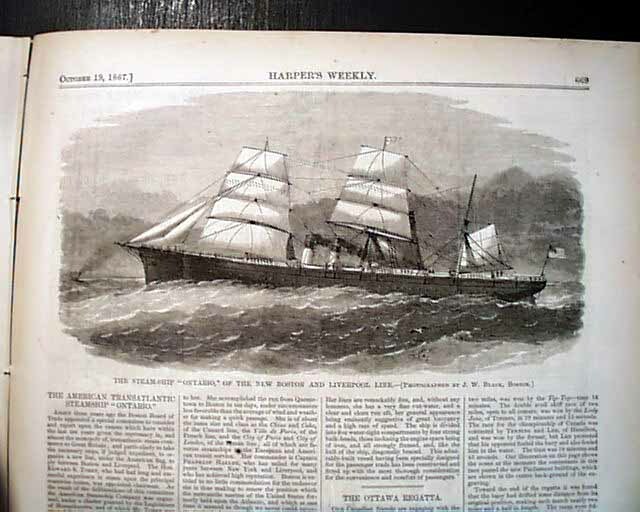 of "The Steam Ship "Ontario," of the New Boston and Liverpool Line." 1/3 pg. illus. of "Boat Regatta at Ottawa-The Contestant's Passing the Parliament Buildings."